Why Should I Schedule My AC Services Now? We put efficiency at the top of the list because it is perhaps the most important reason to schedule your AC services before the summer begins. Scheduling your tune-up now ensures that your system will remain effective throughout the entire course of the season, keeping utility bills and the need for air conditioning repair in Stamford, CT to a minimum. During your maintenance visit, your technician will thoroughly inspect your system for any sign of an issue and make minor adjustments to improve efficiency and performance. There is nothing worse than having to deal with a faulty AC during the time of year that you need it most. When temperatures soar, you are going to want to make sure that your system can keep up with all of your cooling demands. Scheduling service now ensures that your system is equipped to keep you and your family cool and comfortable, even during the hottest heatwave. 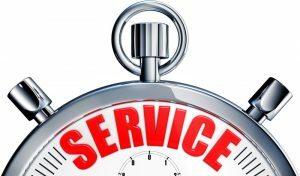 Far too often, homeowners across Connecticut wait until the last minute to schedule their air conditioning maintenance services, leaving HVAC technicians quite busy attending to dozens of service calls. This makes it difficult for homeowners to schedule a maintenance visit that works for their schedules. Therefore, scheduling now ensures that there is plenty of time to complete any repairs that are needed before summer actually begins. We hope that after reading this you feel compelled to pick up the phone and contact a professional HVAC technician today. Summer is going to be here before you know it, so it is important to have your maintenance services on the calendar. Be sure to only a hire a professional for all things air conditioner, though. Only a professional HVAC technician has the knowledge, training, and experience to detect and repair complex AC issues. Please do not trust just any amateur to service your AC, as sometimes an attempt to save money can end up costing you much more in the long run. To schedule your AC maintenance, contact the team at Celco Heating & Air Conditioning.